The island of Phuket is surprisingly large, about 50 km long by 20 km wide. It’s so huge that you rarely get the sense that you’re surrounded by water. Phuket is an international magnet for beach lovers and divers who submerge themselves in the Andaman Sea and blue lagoons by day and revel in the salmon sunsets by night. The island’s sin city of Patong is the biggest town and busiest beach with undoubtedly the liveliest (and sleaziest) nightlife in Phuket. The best time to visit Phuket is December through March, during the cool NE monsoon season when it isn’t to humid and a cool breeze lingers in the air. 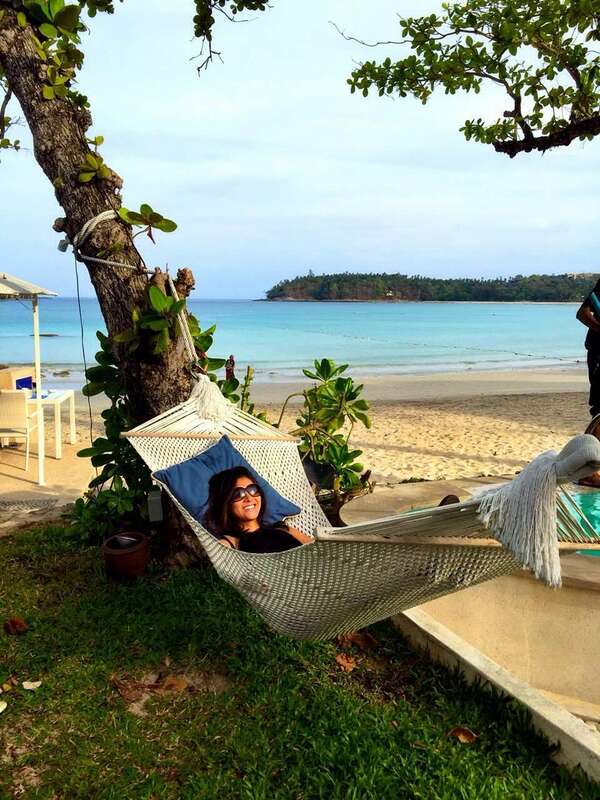 Phuket is blessed with warm weather all year round but April to May and September to October are the hottest. September to October is monsoon season. 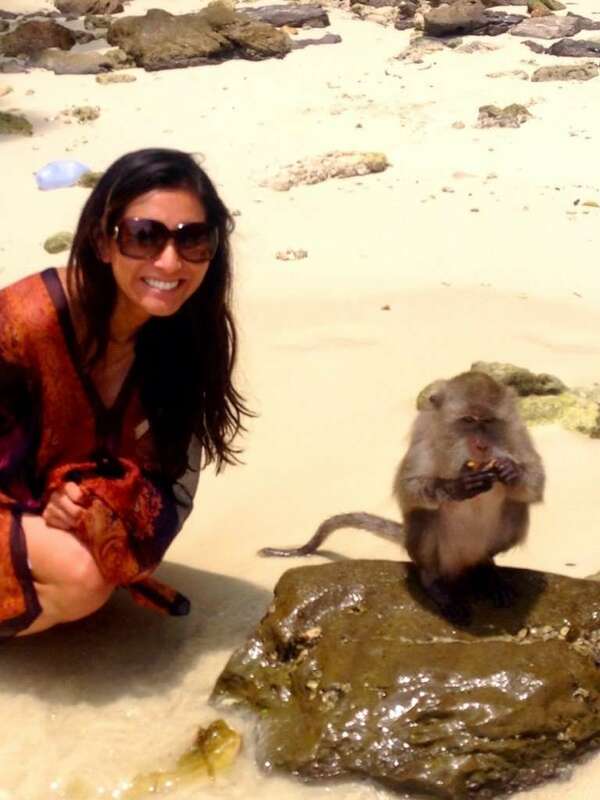 You can get to Phuket by bus, car, train and air! Flying from Bangkok into Phuket International is by far the most convenient with a mere one hour flight time. Several domestic airlines such as Thai Airways, Bangkok Airways, Phuket Air and Thai Air Asia offer daily direct flights. An intercity or public bus is the cheapest way to get to Phuket but the trip will take 12-14 hours. Taking a train is also rather cheap but there are no direct trains to Phuket. You would need to take the train to Surat Thani then take a bus to Phuket. Driving is also an alternative option that includes being able to stop at several beautiful places along the way but the trip is still a good 12 hours. Once you land at the Phuket Airport, the cheapest way to Phuket Town is to take the Airport Bus Phuket for a price of 85฿. The bus leaves every hour from 6:30 am to 8:45 pm. As you exit the arrivals hall, turn left and walk 20 meters to the end of the building and look for the vibrant orange bus. You can also take a metered taxi but be aware that there is a flat charge of 100 Baht which is a legitimate fee. State your destination and you will be issued a receipt and assigned a driver so it’s difficult to be overcharged. A taxi to Karon Beach is approximately 450 Baht and 500 Baht to Patong Beach. Due to the size of Phuket, you have numerous lodging options in a variety of locations and beaches depending on your personal preferences! Patong Beach is the main center of shopping and nightlife in Phuket, and where the majority of the hotels are located along with the traffic and party noise. Bangla Road in inner Patong is the heart of Patong’s nightlife and is central to the main shopping areas and also leads right down to the islan’s main beach. The vast majority of hotels are located in outer Patong, just short taxi ride to Patong city center and located near the beach. Kata and Karon Beaches are approximately a 30 minute drive from Patong and quieter than Patong with much nicer beaches. They each also have their own areas with shopping, restaurants and bars. Bang Tao Bay is an hour drive north of Phuket and hosts mainly secluded luxury hotels, notably the Laguna resorts that are built on a 1,000 acre area surrounding a network of small lakes and include the prestigious Banyan Tree and Sheraton Grande. Kamala Beach is one of the larger towns on Phuket and while the town itself is not particularly impressive, it’s located near a beautiful beach and near several other nice ones. 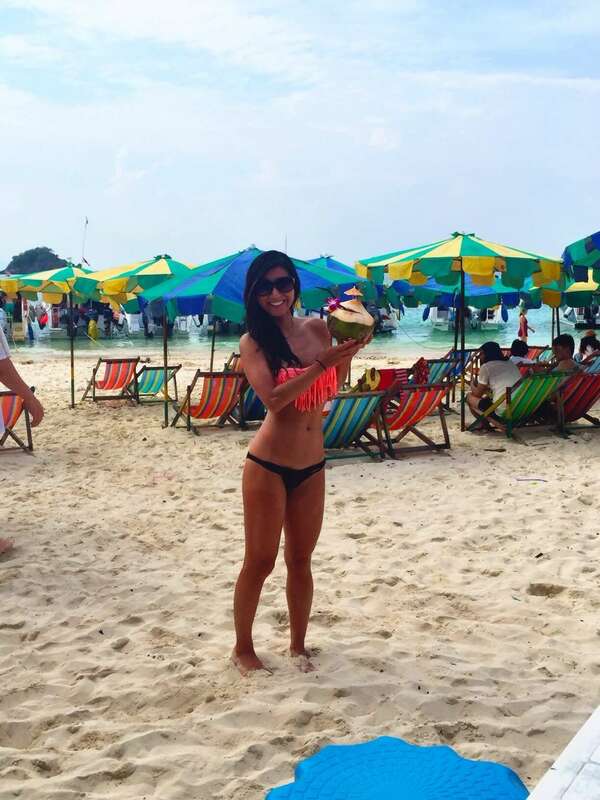 Located approximately a 25 minute drive north of Patong, Kamala has a few quiet bars and some quality beach resorts with wonderful ocean views. 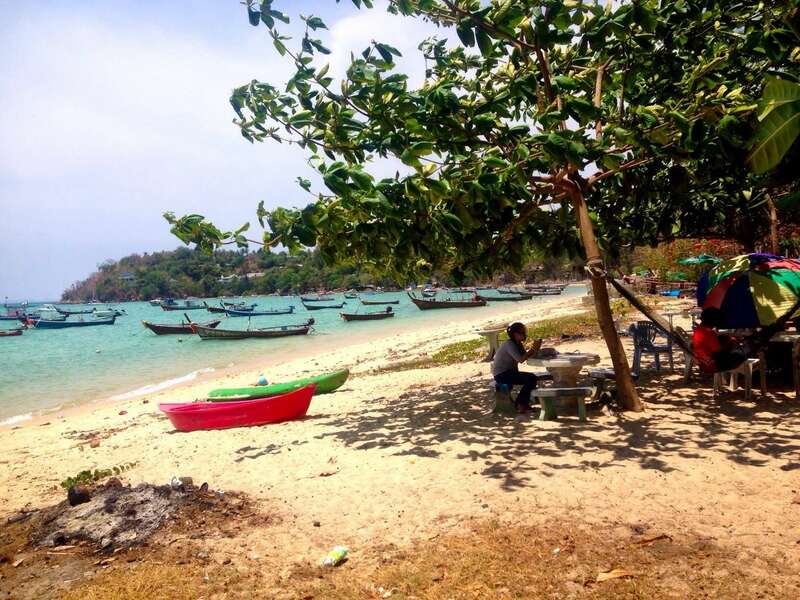 Rawai Beach is a nice little tourist village near the southern tip of Phuket. While Rawai Beach is not suitable for swimming, the superb Nai Ham Beach is just a 10 minute trip over the hill with its small shops, bars and restaurants. Rawai is the main departure point for island trips by the traditional long-tail boats. Start your trip by visiting Old Phuket Town which dates back to the 19th century. Far from the beaches, the traditional Phuket and its unique culinary and historical story boasts several hip shops, cafes, restaurants and bars. The area is also filled with Chinese temples, crumbling mansions, cultural museums and a nunnery. Venture out with Phuket Heritage Trails which specializes in walking tours of the Old Town, one of the best ways to see the area. Tours cost approximately 1,800 to 2,100 baht ($60-$70) per person and include hotel pick-up and drop-off, all museum entry fees and meal expenses. Make a reservation at Kruvit Raft and eat the catch of the day on a raft floating in the middle of the island. The raft is a floating mini-pier made of weathered wooden planks with tables that sit beneath quaint thatch roofs. 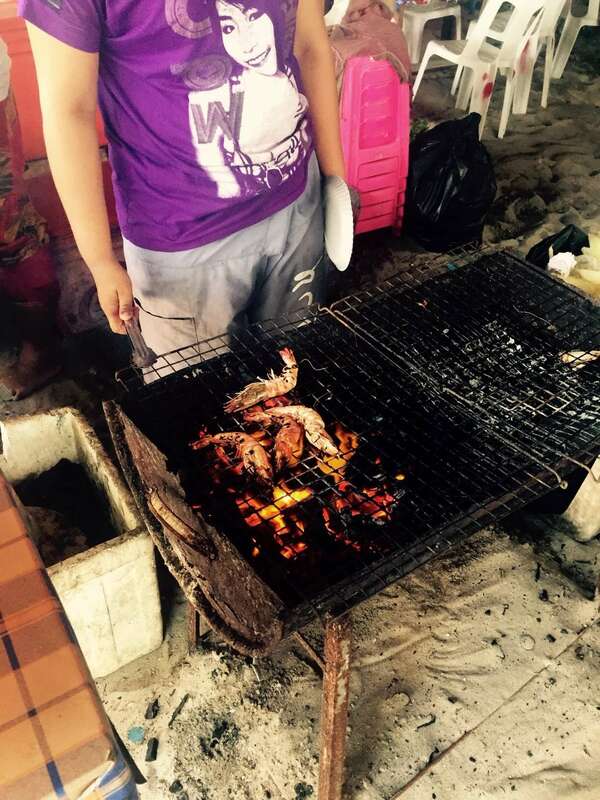 The menu changes according to the fresh seafood that they catch each day but consistent favorites include barbecued lobster, steamed tiger grouper and steamed yellow curry blue crab. There are nets that hold the live fish and you can choose what you want and they will prepare it with perfection. While this is not a 5-star restaurant, it’s an experience not to be missed with the most spectacular and unique atmosphere. The 2 minute free long-tail boat ride will take you right to the restaurant. 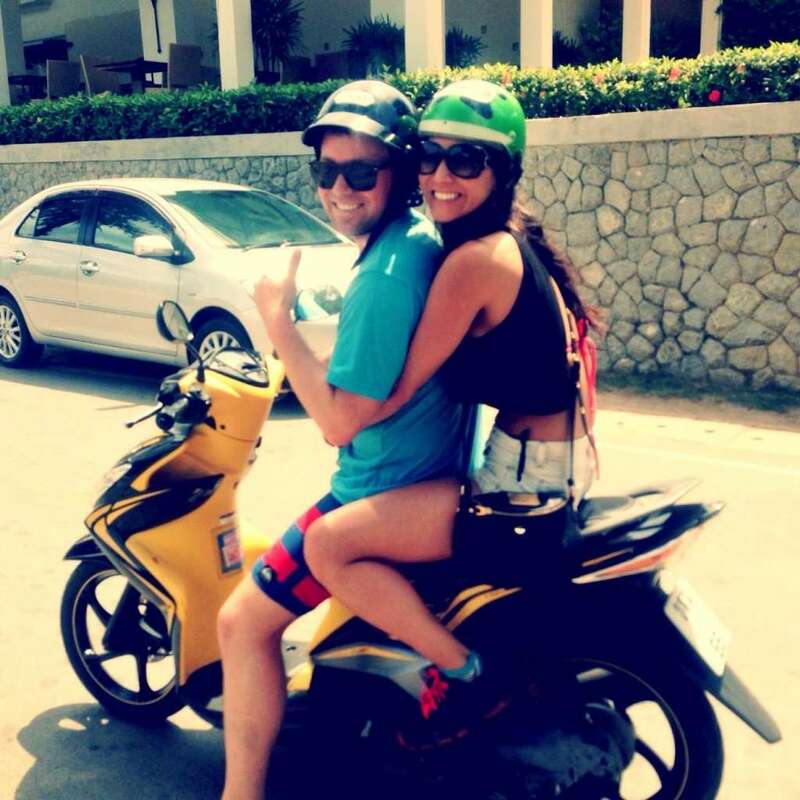 The best way to explore and see the island is renting a scooter. 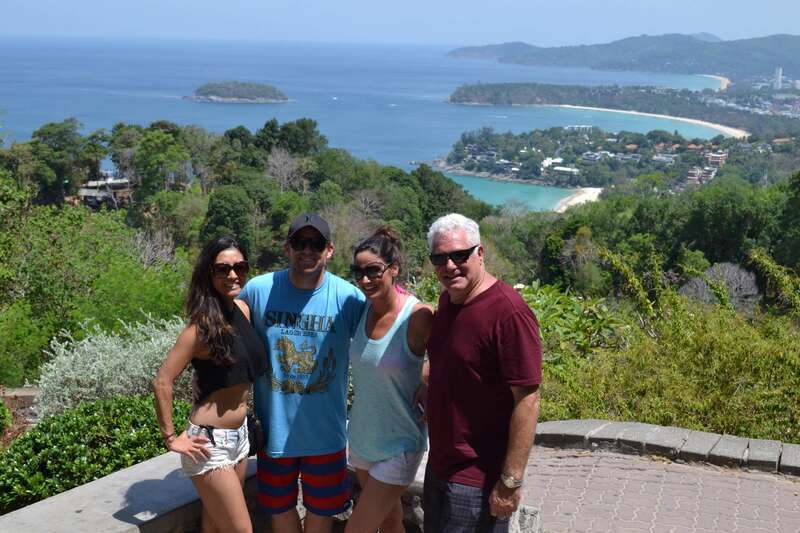 Phuket has numerous breathtaking viewpoints. Some of the best include Phromthep Cape, Big Buddha, Rang Hill and the Karon (Kata) viewpoint pictured below. 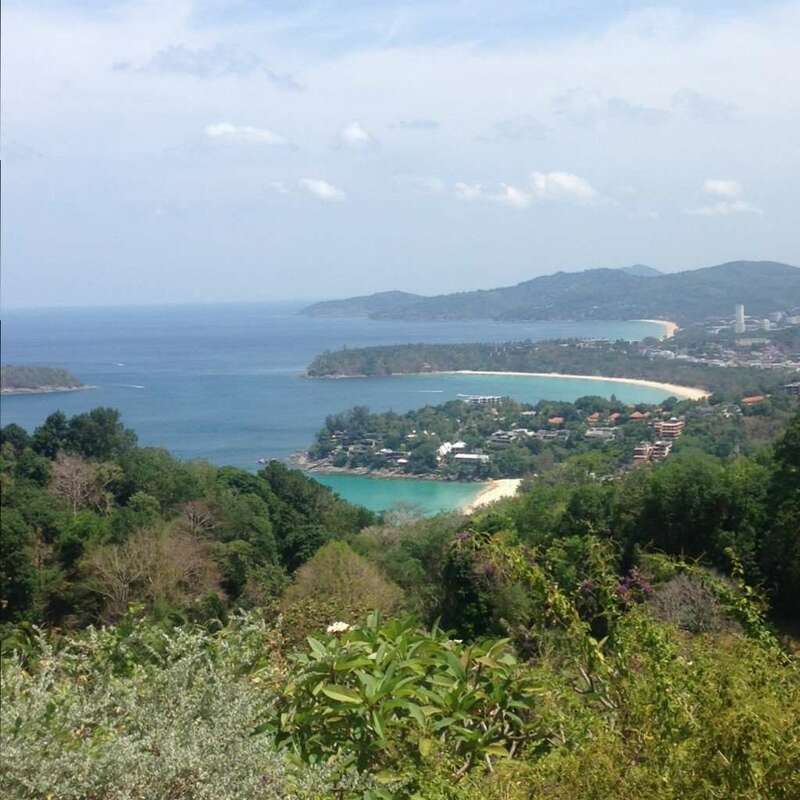 Located between Nai Harn and Kata Noi beaches, the Karon viewpoint is one of the most frequented viewpoints in Phuket. From here, you can see Kata Noi, Kata Yai and Karon beaches. Continuing on the road to the Big Buddha, you’ll pass Raiwaibeach. 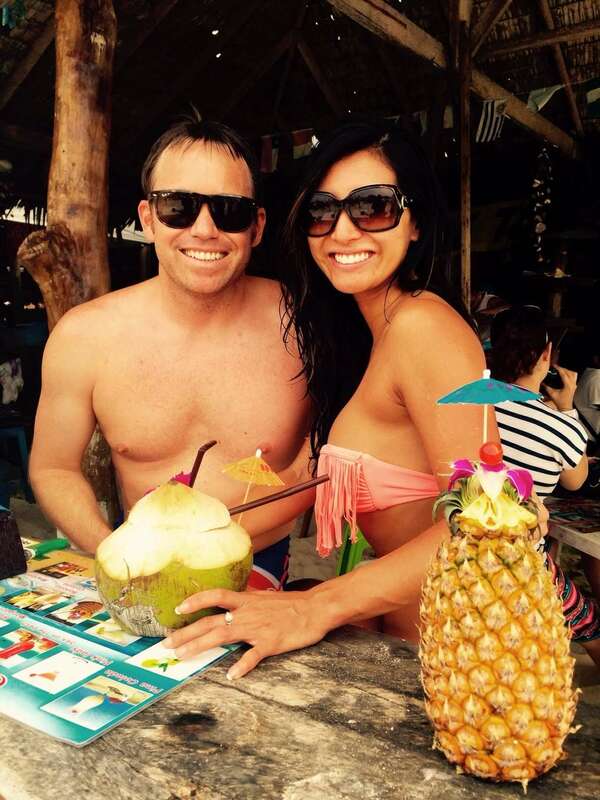 Once you hit the water, there is a little motorcycle street that veers right that is lined with local restaurants that serve you fresh seafood and Thai food right on the beach. 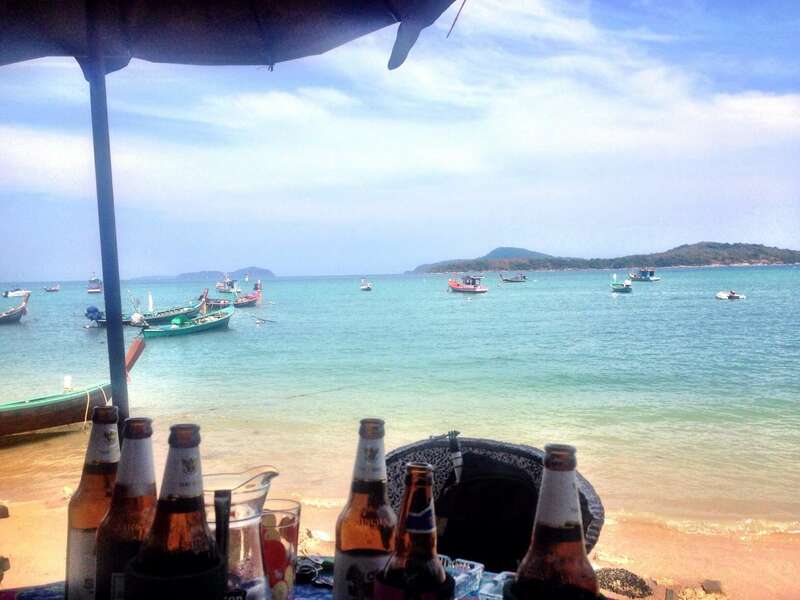 Take a break with a nice cold Singha! 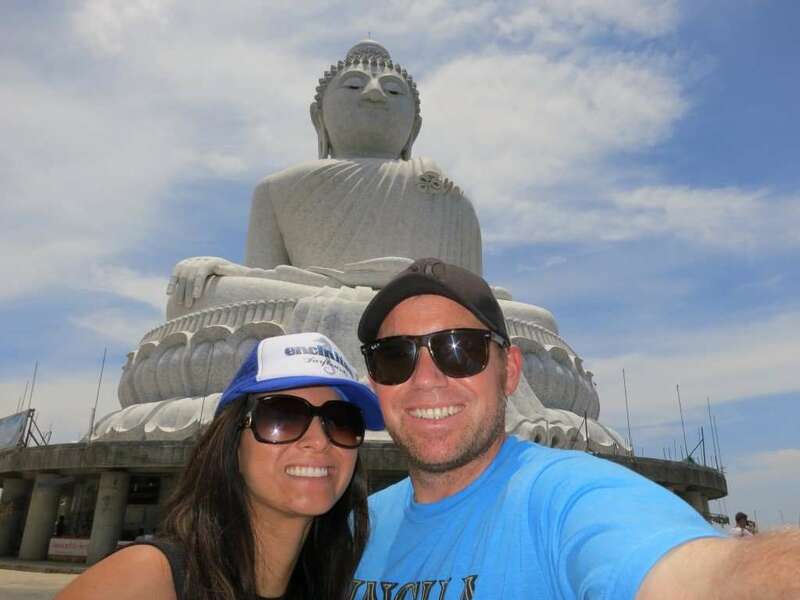 Continue on to see the Big Buddha, one of the island’s most important and revered landmarks. The 45-meter statue is easily seen from far away, sitting on top of the Nakkerd Hills between Chalong and Kata. Easily reachable by a six-kilometer road leading from Phuket’s main artery, the site offers the best sweeping 360-degree views of Phuket Town, Kata, Karon beaches, Chalong Bay and more. Get the best pho in town at Pho House By Mama Phung. The food here is one of the best authentic Vietnamese meals with exquisite spicy beef pho and famous pork chops. Try all of the “Pho House Dishes”! When the sun sets, Paton’s Bangla Road closes to vehicles and comes to life with 400 meters of neon lights, loud music, cheap beer and girls. While for the most part, Bangla Road is fairly sleazy, there are a few quality nightclubs like Seduction Beach Club & Disco that keep the party going until the early morning. The three-level Seduction Beach Club & Disco brings in top international DJs like Paul Oakenfold. The first level beach bar plays R&B and hip-hop music while the top floor is the actual nightclub where the DJ spins. For the VIPs, there’s an exclusive members only open air lounge called BLOW. When we were in Patong, it was the new year celebration which involved all night water fights throughout the entire city. Everyone is fair game and I lost track of the buckets of water dumped on me. Game on! 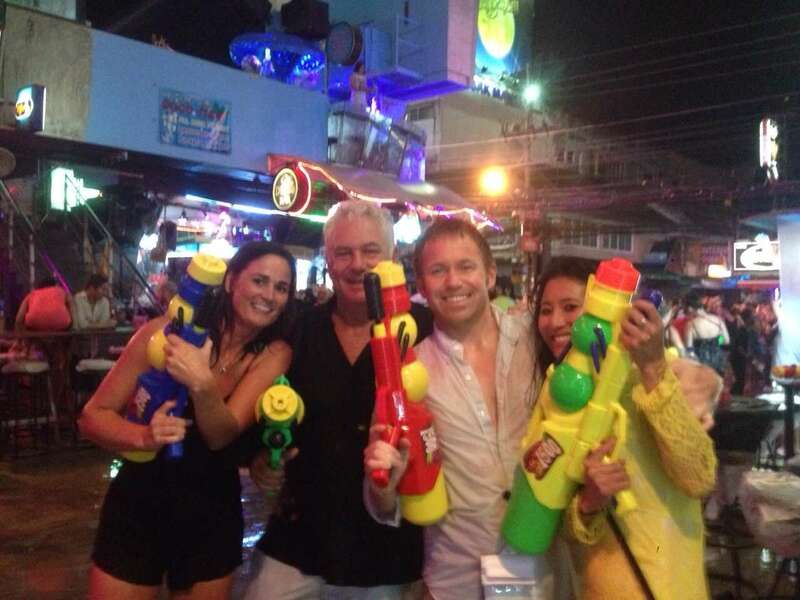 Lady boys and super soakers…happy new year! Take a day trip to Phang Nga Bay and its James Bond Island, a definite must while in Phuket. 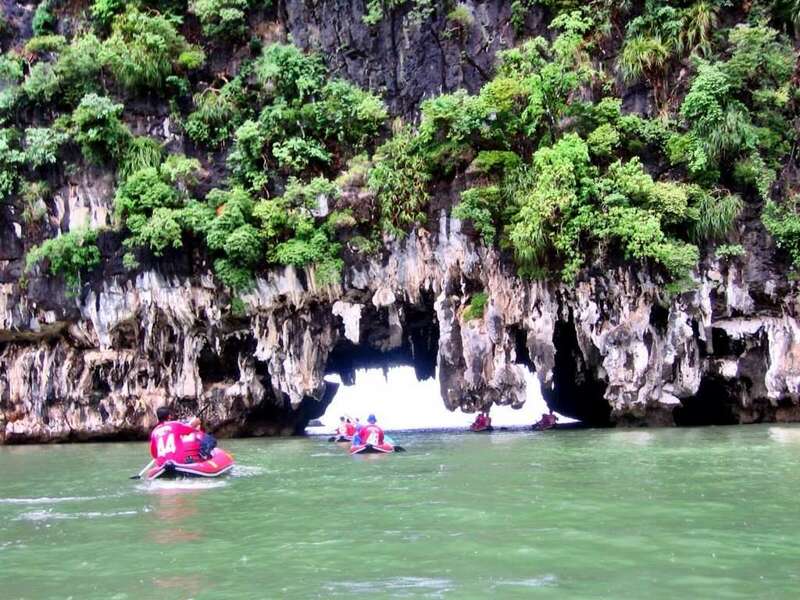 The best way to enjoy Phang Nga Bay’s spectacular scenery of sheer limestone karats that jut out vertically of the emerald-green water is to take one of the boat trips from the northern end of Phuket. Phang Nga Bay covers an area of 400 sqkm and is home to some 100 beautiful and unique islands. 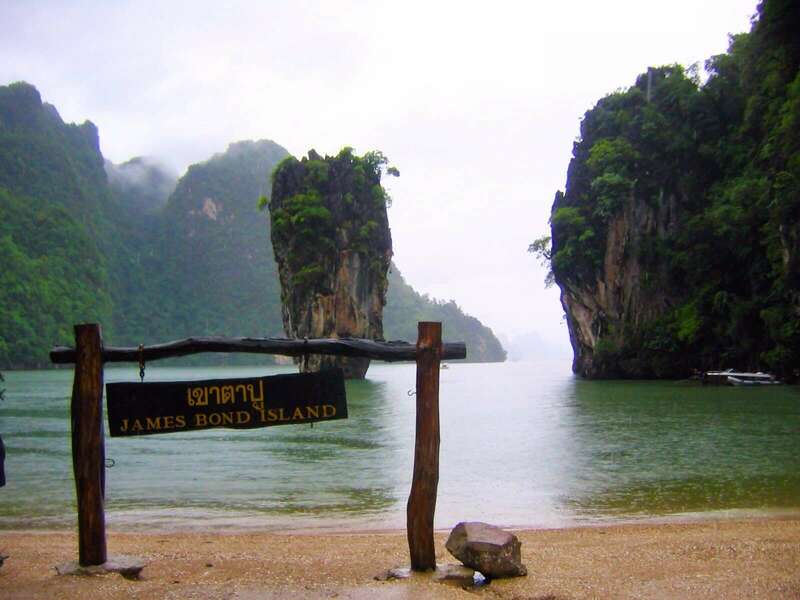 James Bond Island has been a major attraction ever since it was featured in the 1974 Bond movie. 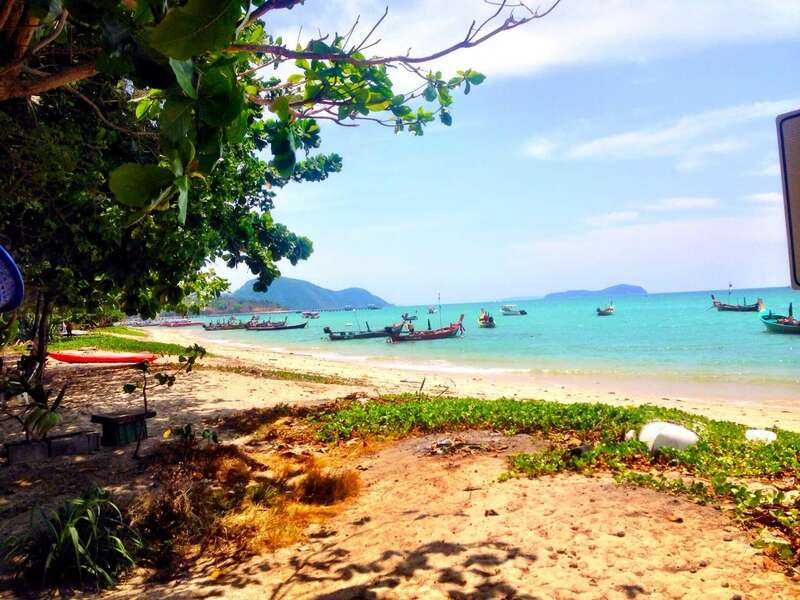 The two best ways to view the island are from boats or from the small beach on Koh Ping Ghan, a very high leaning rock with several small caves inside. On its crowded eastern beach are small stands selling souvenirs made from shells and wood. The area is also a popular destination for sailing and kayaking. Most of the organized tours of James Bond Island are combined with a visit to other popular islands and usually include a stop for a seafood lunch at the charming nearby Muslim fishing village on stilts, Koh Panyee. 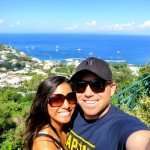 Bring a snap-shut waterproof camera bag! 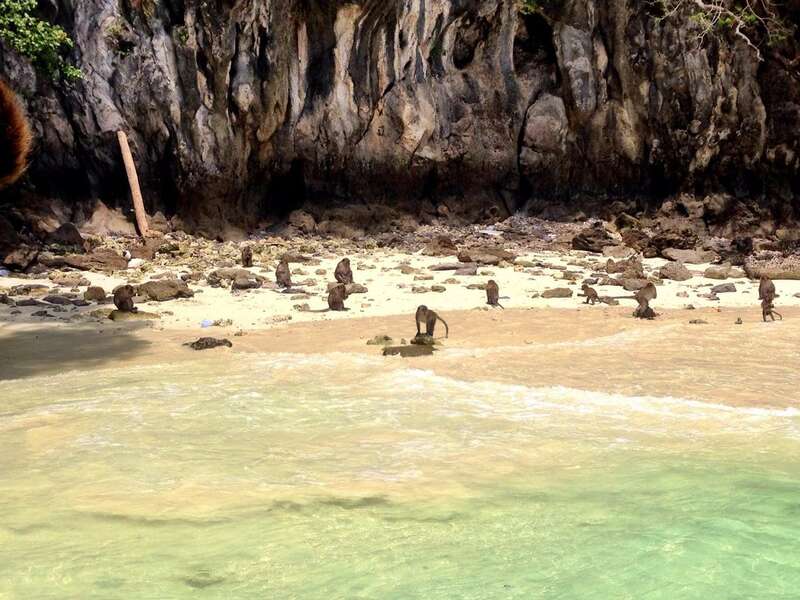 Sea kayaking through the caves of Phang Nga Bay – amazing! Baan Rim Pa literally means “house next to the cliff” and sits on the rocky headlands north of Patong Bay. Dine with extraordinary views over the entire bay as you listen to the waves crash at this open-air two-story teak dining institution that has been open for more than 20 years. The restaurant is right next door to the famous Joe’s Downstairs and Da Maurizio Bar Ristorante as well. The Phuket Weekend Market (think Bangkok’s Jatujak market but on a smaller scale) is open Saturday and Sunday from 9 am until late at night. Located along Chao Fa West Road just outside of Phuket Town and not far from Central Festival, the market has a covered section (secondhand items and clothes) and an open section (toys, accessories, electronics, etc.). You’ll find food, clothing, jewelry, home décor, antiques, secondhand goods, plants and even pets. Sample all of the tasty food to the right of the main entrance! Ka Jok See is one of the busiest restaurants/bars in town with its setting in a gorgeous old shophouse with beamed ceilings, aged photos on the wall and quirky Thai artwork. At night the restaurant turns into quite the hot spot! 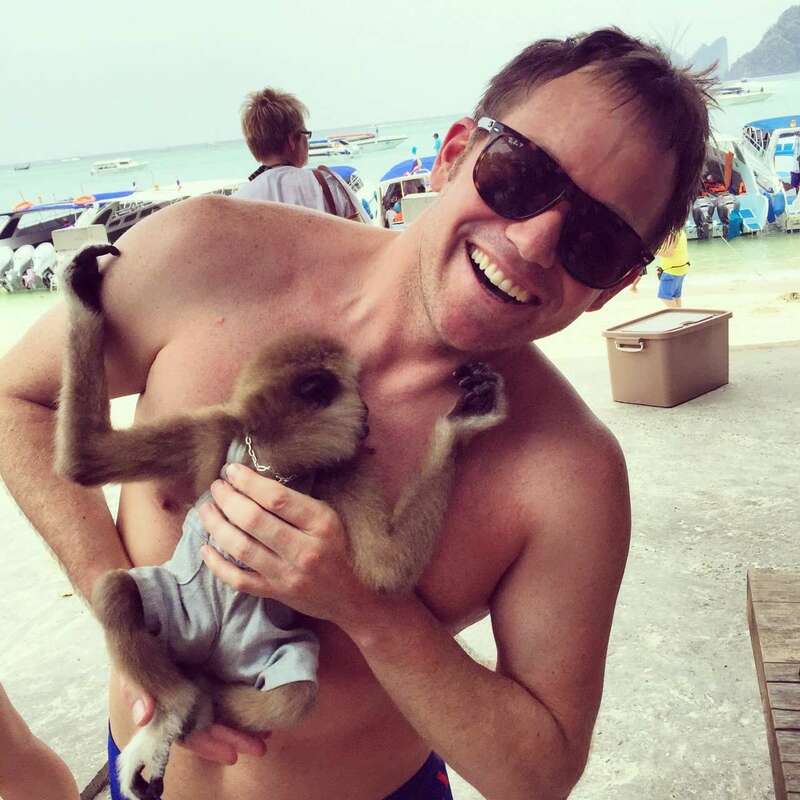 Your #1 priority while in Phuket is to take a 90 minute ferry or 45 minute speedboat to Phi Phi Island, Thailand’s island superstar. Phi Phi’s beauty with its beach-fronted jungle and sheer cliffs towering overhead is unbeatable. 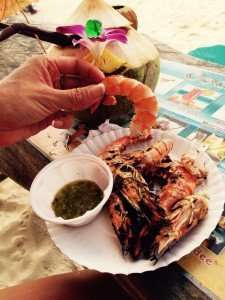 Phi Phi Le is completely free of human inhabitants while Phi Phi Don is without roads and packed with a busy nightlife scene. I recommended spending a few nights in Phi Phi if you have the time. The ferry is the most popular method of reaching the islands. There are two ferries each day to/from Phuket town and Krabi town. The boats usually depart 8:30-10:00 am and 1:30-2:30 pm although times may vary. The ferry terminal is approximately a one-hour drive from Phuket Airport. 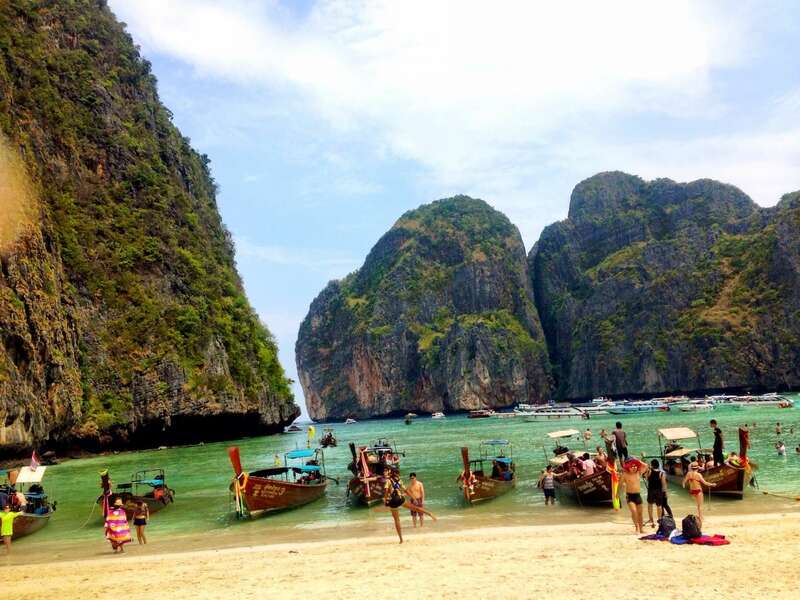 Private speedboat transfer is the next most popular way of getting to Phi Phi. Obviously speedboats are more expensive than a ferry but if you have a larger group it may be worth the additional expense. In addition, departure and drop-off points are much more flexible and will save you time. Most of the year the ride is flat but avoid taking a speedboat in September and October as it can get rather bumpy. There are also many tours you can take for $50 USD per person that will take you first to Maya Bay, the famous pristine beach from the movie “The Beach”, glimpses of Loh Samah Bay, Viking Cave, Pileh Cove, Monkey Beach, then to Phi Phi and Koh Nok with snorkeling in between. 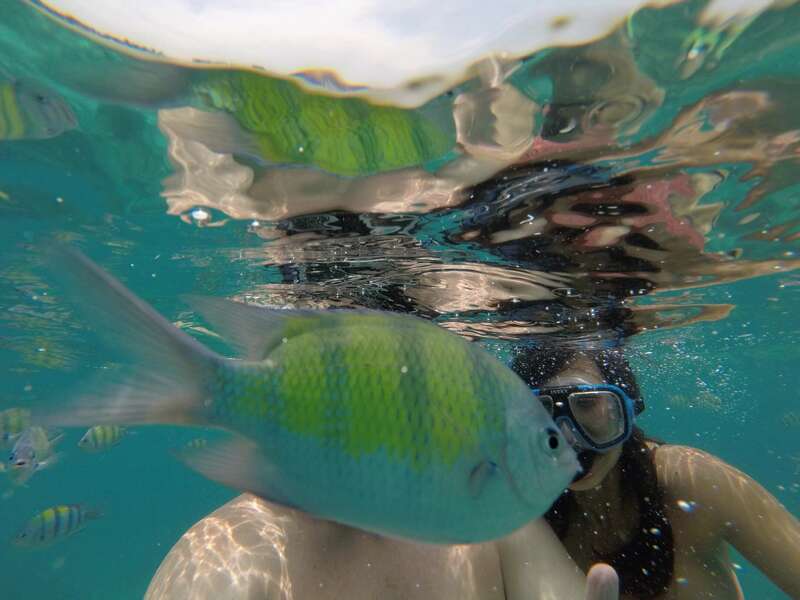 Snorkeling on the islands is like being in a fantasy planet. 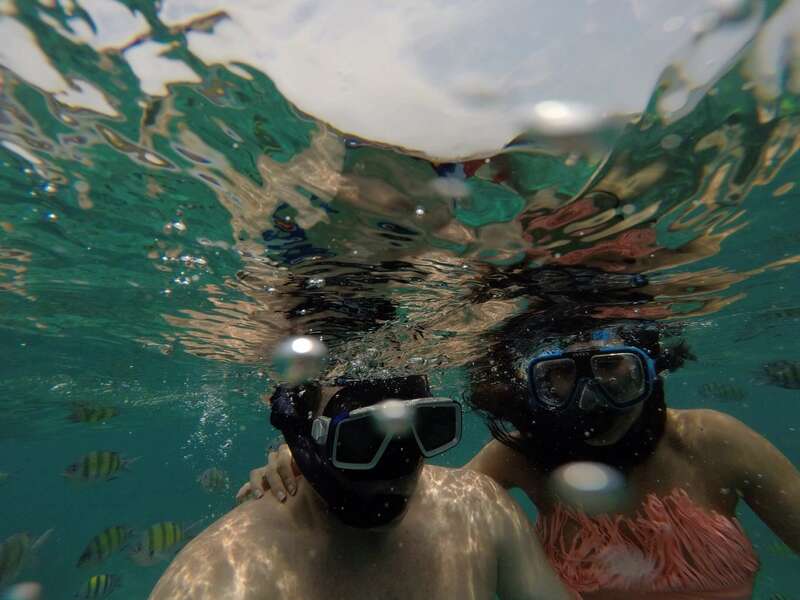 The crystal clear water gives you full range to view exotic species of fish and one of the world’s most abundant coral reef systems. Unbelievable! The last stop on your tour, Koh Nok, is a breathtaking island tucked away in Phang Nga Bay approximately 30 minutes from the east coast of Phuket with crystal clear blue water, white sand and no electricity. You’ll still be able to find souvenirs, bars serving ice cold cocktails in coconuts and vendors grilling fresh seafood that you pick yourself! There are twelve types of exotic fish here that aren’t afraid of humans so bring your snorkels to see them up close. Dealing with the local tuk-tuk and taxi drivers may be challenging. The TAT publishes a list of taxi fares that the drivers completely disregard. Drivers in Kata, Patong and Karon are particularly ruthless and often ask triple this rate. Karon Café in Karon Beach serves the best steaks on the island! Wats, or temples, are sacred places for local people. Be careful not to stand over or position yourself higher than any Buddha image or wear clothes that reveal your shoulders, chest, belly or legs. You may be asked to take your shoes off when entering some of the buildings. 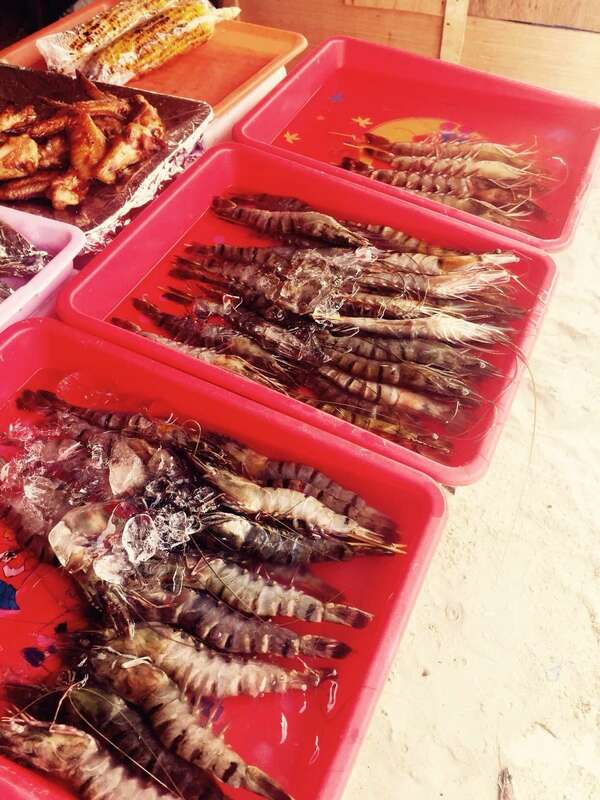 The Phuket Weekend Market starts around 4:00 pm and closes after 9:00 pm. Get there early to avoid the crowds and you most likely can’t find a parking spot after 4:30 pm. Thailand issues 30-day tourist visas to U.S. citizens on arrival at Bangkok International Airport free of charge. The THB700 (approximately $24) Thailand International Airport tax is included in the cost of international airfare so there is no need to pay cash at the airport. Tipping of service personnel like tour guides and drivers in Southeast Asia is customary although there is no set standard for an appropriate amount. 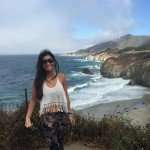 Drivers can be tipped $1-2 per person and guides anywhere from $3-5 to $10-15 per person for a full day tour, the larger the group the smaller the amount per person.